Namine had to do something for school the other day which I thought was weird. Namine had to do something for school the other day which I thought was weird. 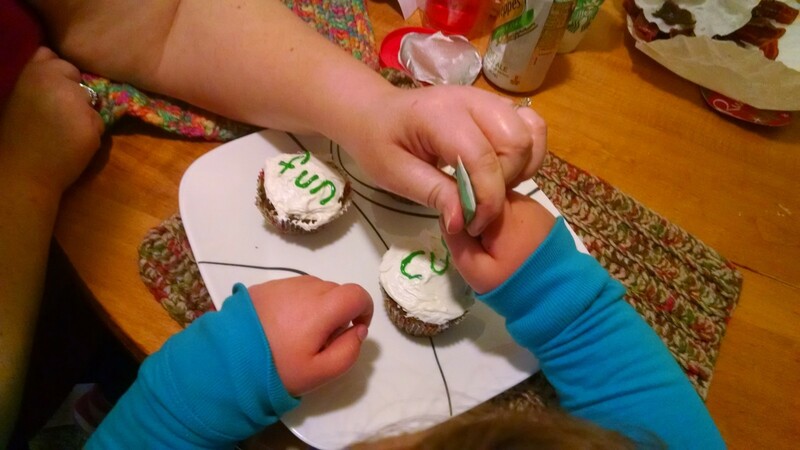 She had to practice her spelling — nothing strange about that — but she had to do it by writing in frosting on top of cupcakes. In my opinion, writing in frosting is hard. So Jessica and I originally thought to have Namine spell the words, all of which were simple, three-letter words, by writing a single letter on a cupcake. She could then group cupcakes together to spell the words. Remember Namine’s birthday cake? Yeah. As it was, though, Namine didn’t care about the less-than-stellar writing — she loved it just the same. We kinda went nuts with the cupcakes, though, and ended up with some rather large ones. 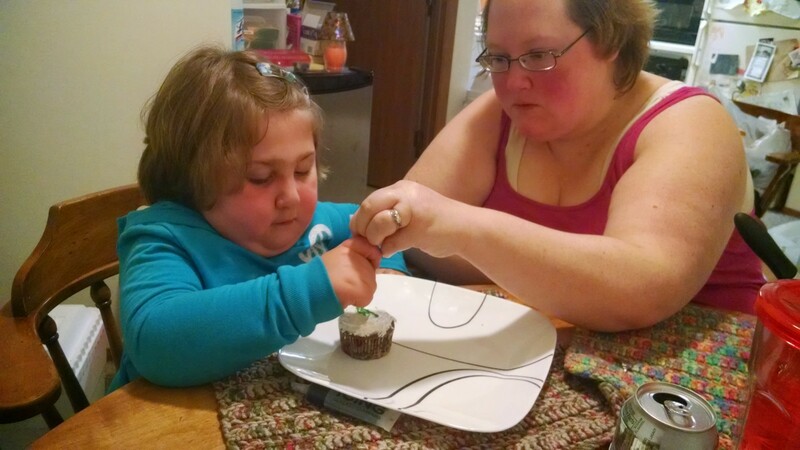 Namine insisted on writing each word on a single cupcake, so with a little help, that’s exactly what she did. Writing with frosting is hard, but Namine did a good job. Namine ended up writing (if memory serves) a total of five words, each on two cupcakes. (We still had plenty left over, so I brought a bunch to work.) By the end of it, Namine had gotten the hang of writing in frosting, but she still needed a little help in squeezing out the little tube. You’re right, frosting is really hard to write with. I don’t think I would have been able to do it. Good job Namine!